Here is installment #3 of 5 GU Questions. This time we move to baseball to get the perspective of a man who has has taken quite the interesting path as a relief pitcher. 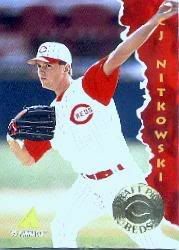 CJ Nitkowski grew up in Suffern, New York, pitched for St. John's in New York City as well as both the Yankees and the Mets. 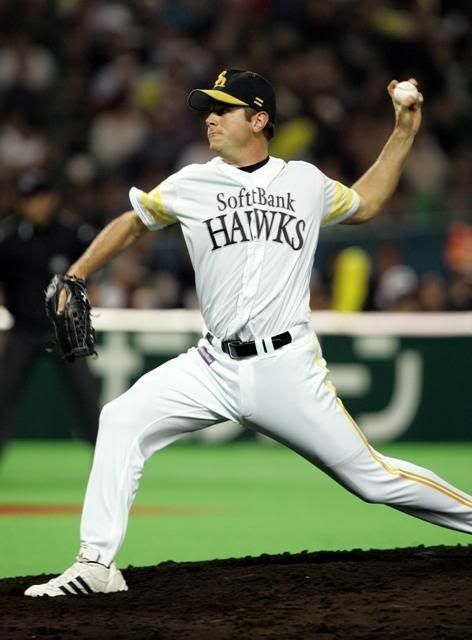 He played for 8 teams here in the US and currently makes his living throwing for the Fukuoka SoftBank Hawks in Japan. Q: CJ, you played for 8 different teams in the mlb (Reds, Tigers, Astros, Tigers again, Mets, Tigers again, Rangers, Braves, Yankees and Nationals). What game used items have you saved along the way? CJ Nitkowski: I have a ton of my used gloves and spikes and the few bats that I have used. I also have most of my jerseys except for Cincy and NYY. Q: You’re playing in Japan. 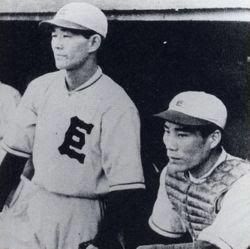 As far as you can tell, in Japan do people collect game used baseball uniforms and equipment from the Japanese leagues? If so, any idea how much these things go for? CJ Nitkowski: I haven't seen much in the way of collectors, but it's hard to tell what is out there because of the language barrier. Q: Is there a difference between the equipment in japan and here in the states? CJ Nitkowski: Slight differences. Our home jerseys are mesh and have a softball league feel to them. There are different glove shoe & bat companies but in the end most of it is the same. Q: Do players treat their equipment differently in Japan- fewer customizations? Do they switch out equipment a lot? Do they tend to hang onto things longer? CJ Nitkowski: I get the impression they switch out a lot more here, especially uniforms. Most players don't have their names on their bats, only a few big stars. Most get their number on the knob. If you are number 18 for the Hawks your bat says H18 on the knob. Q: What’s the difference between the clubhouses in the states from the ones in Japan? CJ Nitkowski: The clubhouses here are not designed for comfort. There is practically no lounge time in the clubhouse, especially on the road, so they don't have the players comfort in mind when designing them. We don't spend nearly has much time in the clubhouses here as we do at home. Q: If you could have the game used jerseys of 3 current or former mlb’ers and money was no object, who would you get? 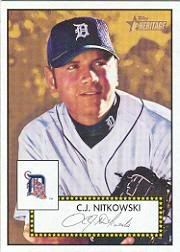 CJ Nitkowski: Current I don't have a ton of interest. Former I'd take a Cobb, Christy Mathewson & Joe Jackson. Q: If you could have the game used jerseys of 3 current or former players in the Japanese leagues and money was no object, who would you get? 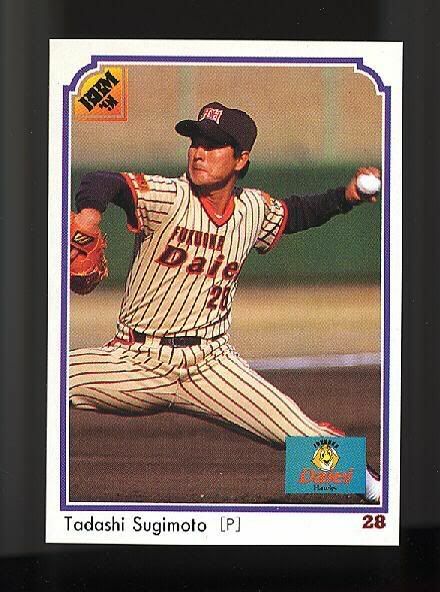 CJ Nitkowski: Former: Sadaharu Oh, Eiji Sawamura and my pitching coach Tadashi Sugimoto. Not because he was a great player just because it would be good personal memorabilia. Q: Have you had any pieces of equipment you considered lucky? Tell us about it. CJ Nitkowski: No. Luck does not exist. Things happen for a reason that reason is never what you are wearing, what you touch or what you eat. Q: Have you ever seen your equipment sold or auctioned? What did you think about that? CJ Nitkowski: My Yankee jersey. I was mad because I was told they would send it to me in the mail in the off-season. Instead they sold it for $450. It was the only one I had. My cousin bought it and I am glad he has it. 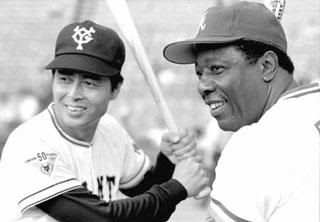 Q: Who's bigger- the Yankees to Americans or the Giants to the Japanese? CJ Nitkowski: Tough question. Probably the Giants if you go by percentage of the Japanese population that call themselves Giants fans over the percentage of the U.S. population that call themselves Yankee fans. They are baseball crazy here and the Giants are everyone's favorite. There you go. Thanks to CJ. I can't believe that you interviewed CJ. I have been following his career for years and was especially happy when he played for my Yankees and then the Nats. Although we didnt know each other in high school, we were there at the same time. He was a few years behind me. I lived for a while in the same hometown, Suffern, NY. Thanks to GUU for the interview and thanks to you CJ! Nice post regarding an interesting player and man. I recently read about what a devout Christian he is. I was actually going to add to the thread about Rangers jerseys last night as I have C. J. Nitkowski blue rangers GW jersey in my collection. I wear it around town from time to time, it's a nice piece to have.